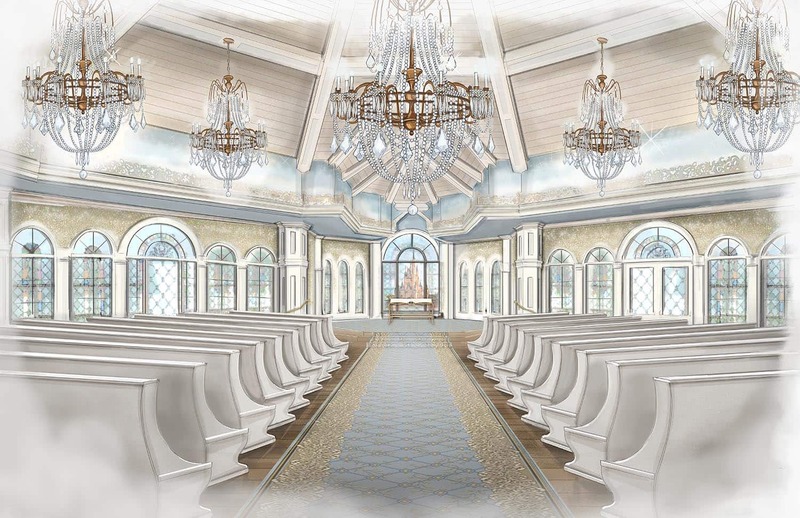 We are very excited to share an exclusive sneak peek inside the upcoming enhancements to Disney's Wedding Pavilion. It will be receiving a new look very soon, while still maintaining all the magic and splendor our Guests have come to know and love (like the stunning view of Cinderella Castle). The new décor will feature an elegant, neutral color palette and shimmering crystal chandeliers. Brand new furnishings, wall coverings, and carpeting round out the enhancements and bring new life into the interior. We can't wait for you to experience the magic for yourself. The enhancements to Disney's Wedding Pavilion will be unveiled the week of January 14th, 2017. For more information, please contact your Disney Wedding Planner or Sales Consultant.